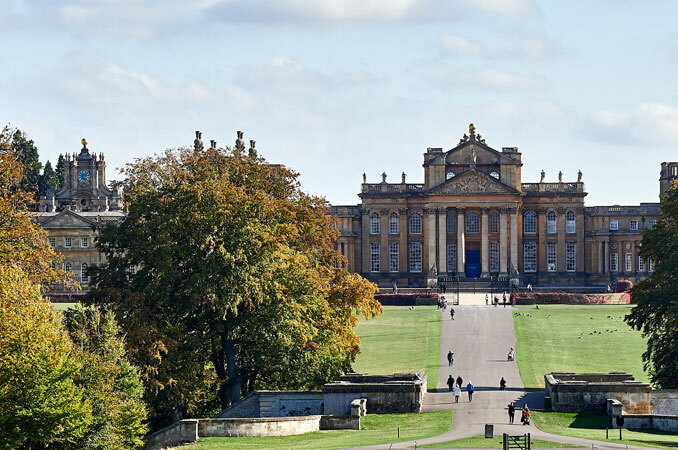 In early October 2018 Ludovic Potts presented a talk to an audience of restorers and conservators from the British Antique Furniture Restorers Association at their Annual General Meeting, kindly hosted by Blenheim Palace. 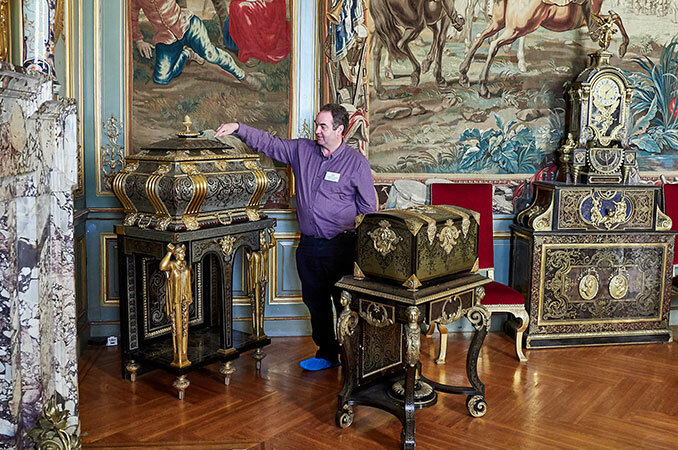 Ludovic looks after the Boulle Collection on display in the State Rooms at the palace. 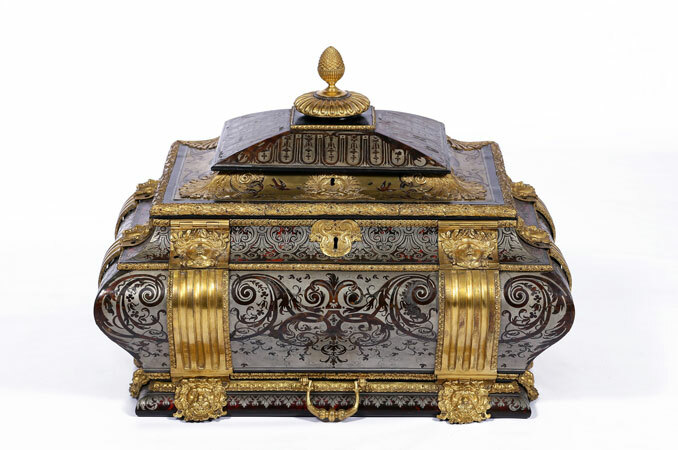 Ludovic’s lecture focussed mainly on the conservation of a spectacular casket made by Charles Andre Boulle, one of only five made by him in the 17th Century. 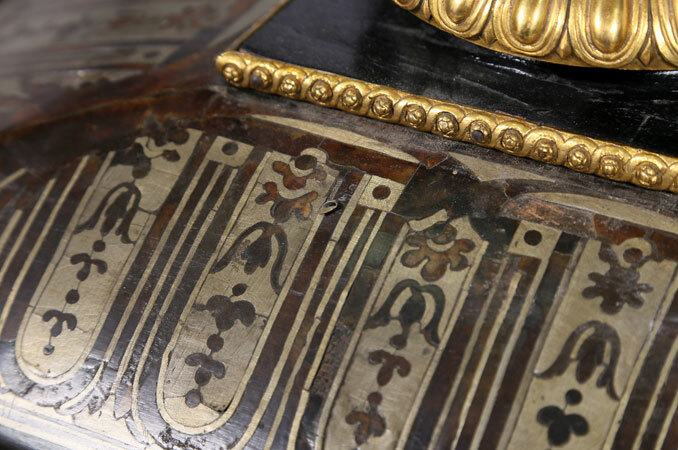 The audience were treated to details of the conservation and restoration techniques used in the process and were also able to see images of the pristine interior. 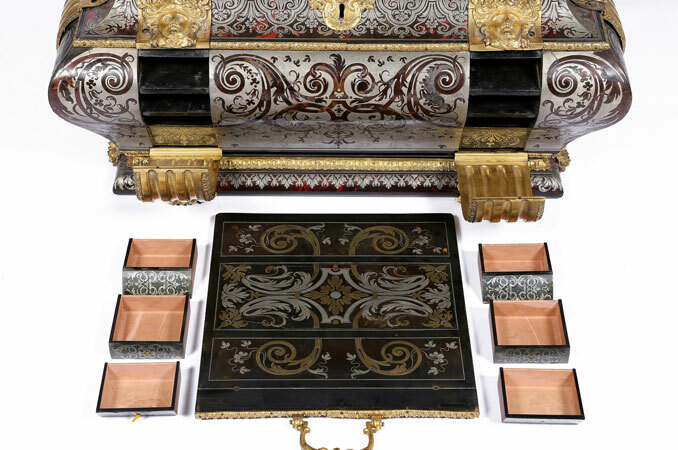 The casket had remained locked and unopened within living memory prior to the conservation process during which secret drawers hidden behind the strapwork were discovered. 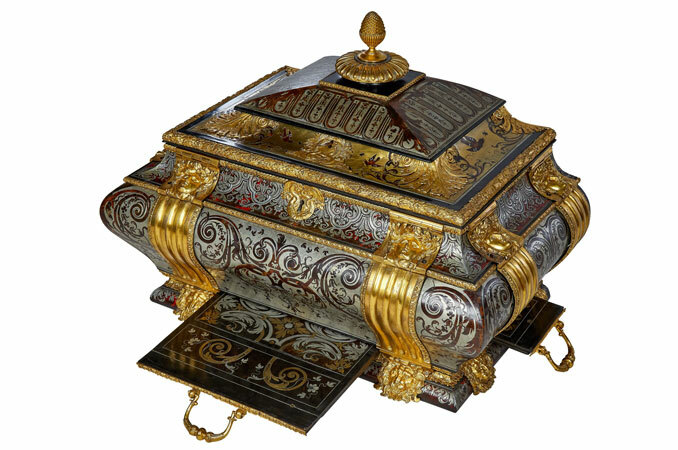 Following Ludovic’s talk questions from the floor came thick and fast. 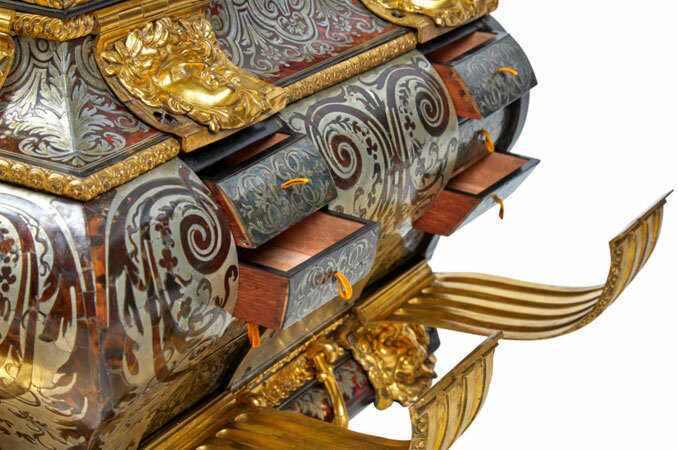 BAFRA Patron Lord Fellowes then joined the attendees as they enjoyed a tour of the State Rooms, and Ludovic was on hand ‘behind the ropes’ to highlight elements of the Boulle pieces discussed during his lecture. 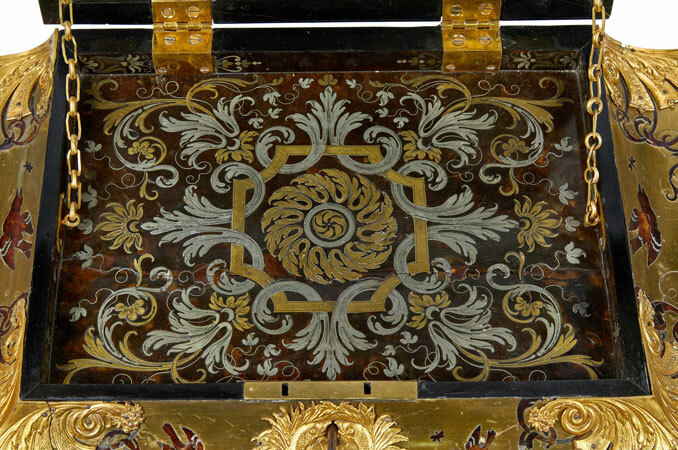 Ludovic Potts showing aspects of the boulle casket during the lecture at Blenheim Palace.